'This seminar asks a simple question – what is the role of the Margin of Appreciation doctrine in contemporary Europe? By linking the interpretation of the doctrine to a broader conception of human rights, understood as complex political and moral norms, leading experts in the field will explore to what extent the tension between human rights and politics, embodied in the doctrine, might be understood as a mutually reinforcing interplay of variables rather than an entrenched separation. 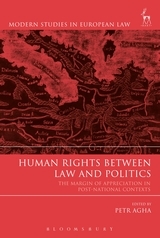 The themes and ideas discussed by the speakers are inspired by a recent collective book Human Rights Between Law and Politics, The Margin of Appreciation in Post-National Contexts (Hart), edited by Petr Agha. * Eva Brems (Ghent) Positive Subsidiarity and its Implications for the Margin of Appreciation Doctrine. The seminar will provide judges, European and national civil servants and other legal practitioners dealing with the case law developed by the European Court of Human Rights with the latest findings conducted by some of the most prominent scholars in Europe. How to book? Registration is free for this event but booking is essential due to limited numbers. Please note that external participants should register for this event by 5th February 2018. * Unaccompanied migrant minors in detention. * Leonie M. Huijbers (Utrecht University, SIM fellow), 'The European Court of Human Rights’ procedural approach in the age of subsidiarity', Cambridge International Law Journal, vol. 6, issue 2 (2017) pp. 177-201. * Sital Kalantry and Maithili Pradhan, 'Veil Bans in the European Court of Human Rights', ASIL Insight, vol. 21, issue 15 (2017). - 3. Patricia Naftali, "The 'Right to Truth' in International Law: the 'Last Utopia'?" - 4. Maria Mälksoo, "Kononov vs Latvia as the Ontological Security Struggle over Remembering the Second World War"
- 5. Paolo Lobba, "Testing the 'Uniqueness': Denial of the Holocaust vs Denial of Other Crimes before the European Court of Human Rights"
- 10. Ieva Miluna, "Adjudication in Deportation Cases of Latvia and International Law"
- Sergei Marochkin, ECtHR and the Russian Constitutional Court: duet or duel? 'Since the first edition of Theory and Practice of the European Convention on Human Rights forty years ago, this book has become the leading reference in the field of human rights in Europe. It provides a systematic and comprehensive overview of the functioning of the European Convention for the Protection of Human Rights and Fundamental Freedoms and its application by the European Court of Human Rights. With Protocol No. 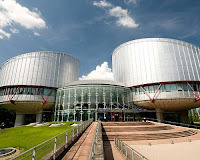 14 entering into force on 1 June 2010, the protection of human rights in Europe and the case law of the Court have seen a dynamic development during the last decade. 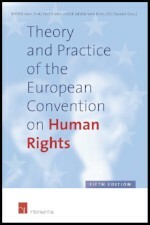 A completely new edition of Theory and Practice of the European Convention on Human Rights was thus very much needed. This fifth edition is again an accessible, easy-to-use, complete and up-to-date reference book, which provides an essential source of information for the practitioners, theorists and students in the field of human rights. Prof. Wolfgang Benedek, Head of the Institute of International Law and International Relations and Director of the European Training and Research Centre for Human Rights and Democracy of the University of Graz,Austria.